Life-long Maynard residents 70 and older would have graduated high school from the building that now hosts ArtSpace. When viewed from Summer Street, the wing on the right side was Maynard's fourth high school. 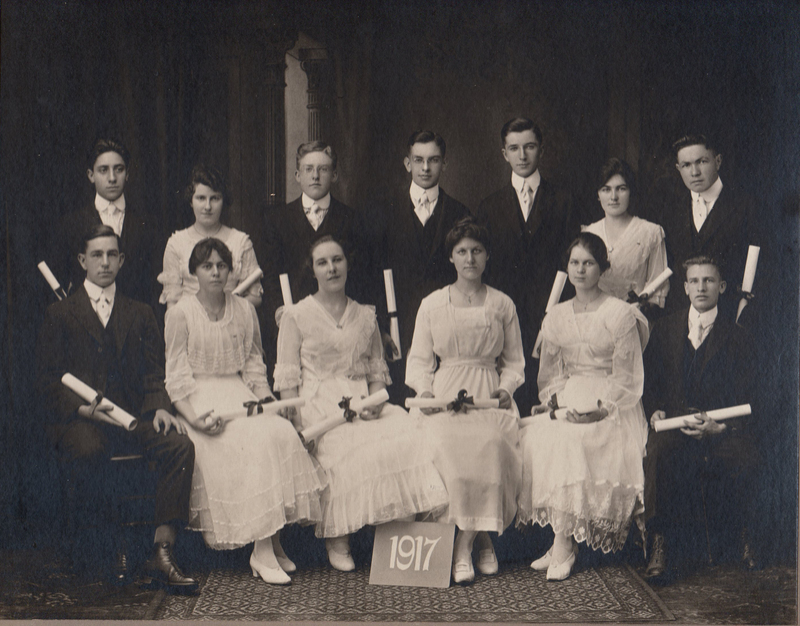 It opened on October 2, 1916, making the class of 1917 the first graduating class. Construction cost $61,600. The town's voters had approved the idea of a new high school in 1913, then more specifically a school on this site in 1915. This is the part of the structure that is 100 years old. The rest was built ten years later. In 1916 Maynard had a population of 6,770, with town water (but no town sewer system), electric street lights, houses lit by gas lamps or electric lights, more horses than cars, a train station, and a trolley line servicing Hudson, Stow, Maynard, Acton and Concord. There were five hotels. Silent movies were shown at Colonial Hall, above what is now Roasted Peppers restaurant. High school classes were at this site from 1916 to 1964, then relocated to a new building on the south side of town. The vacated building became Emerson Junior High School (1964-1980), later renamed Fowler Middle School (1980-2000). 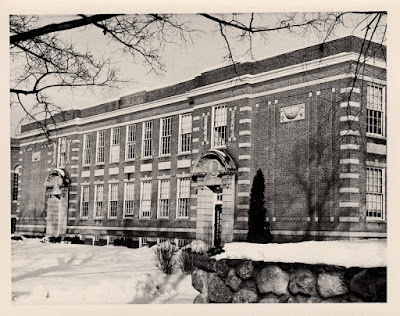 The left wing - initially housing Fowler Elementary school - opened in 1926, as did the center building, containing George Washington Auditorium. 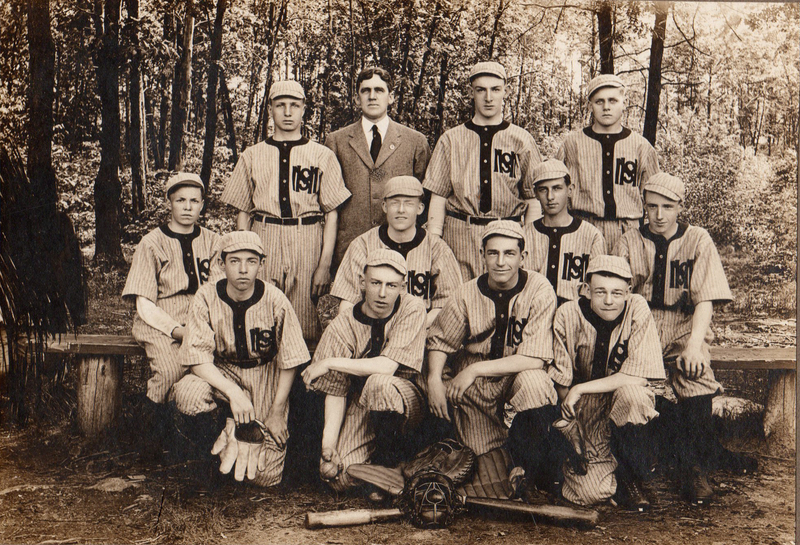 Back in 1916-17 the school year was Labor Day to the end of June. Morning classes were 8:30 to 11:45. Afternoons 1:15 to 3:45. Half-days Wednesdays. There was no school lunch, nor any school bus transportation. The school had eight classrooms and 165 students – 78 boys and 87 girls. 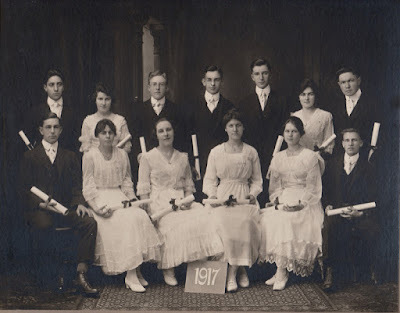 In that era school was mandatory through age 16, so the two lower grades had about 60 students each, whereas there were only 30 in the junior class and 16 in the graduating class. The Principal was Horace F. Bates, graduate of Harvard. His salary was $1,480. Teachers included graduates from Wellesley College, Brown College and Boston University. Curriculum was basic – divided into Academic and Commercial tracks. Music and art were each taught once a week. No foreign languages. No AP courses. The school was actually nameless until 1932, when "Maynard High School" was approved at a Town Meeting vote. The year after the new school opened football was re-started as a school team, after twelve years without. The team lost the first game by a score of 59-0. As noted above, the high school relocated to the south side of town in 1964. The elementary school was next, followed last by Fowler Middle School in 2000. Four years earlier the town had voted to appoint a Fowler School Building Reuse Committee. The conclusion, reached in 1999, was that the only realistic plan was to lease the space to a non-profit arts/cultural group. The official transfer of the building to ArtSpace Inc. took place January 2001. Today, ArtSpace provides 43 studio spaces for 80 artists. Demand remains high, with perhaps two or three studios becoming available each year. Rent for the artists is about nine dollars per square foot. The money raised suffices to pay for staff and operating costs. The town owns the building and property but pays nothing toward maintenance or operating costs. ArtSpace main entrance, in the 90 year old part of the building. ArtSpace continues to be fully occupied by artists, some in place since the start, and has a waiting list of applicants. Priority is given to Maynard residents. Many of the studios are open to the public every second Saturday of every month. The ArtSpace Gallery is a wonderful exhibition space presenting new and important contemporary art by both in-house and nationally known artists. All this offers a wonderful - and free - opportunity to see art, chat with artists and buy their art. Acme Theater offers a place for people to collaborate in all aspects of theater production and performance. Together, these organizations are an essential part of Maynard's cultural variety and strength. More information at www.artspacemaynard.com and www.acmetheater.com. Disclosure: Mark is a member of the ArtSpace Board of Directors.